As part of its expansion plan, the UAE’s RAK Airways has launched its maiden flight to the Jordanian capital, Amman. The launch flight to Amman was inaugurated with flowers by Sheikh Salem bin Sultan Al Qasimi, Director of Civil Aviation, Ras Al Khaimah and Vice Chairman of RAK Airways as well as Murabit Al Sawaf, President and CEO of the airline. Speaking on the launch, Al Sawaf said, “Amman is our 11th destination and this is our first entry into the Levant region. The demand from Northern Emirates is excellent and we have achieved a full launch flight. We look forward to welcome many more passengers onboard RAK Airways.” Ras Al Khaimah – Amman is four days a week service. 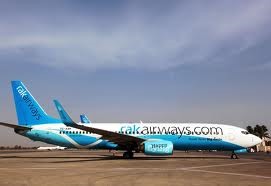 The RAK Airways aims to reach 40 destinations by 2015.